Almon Marina is far from being pricey, but for some reason, it has always intimated me. Yes, I don’t understand how a simple sandwich bar and deli could do that to me, but yeah, that’s that. 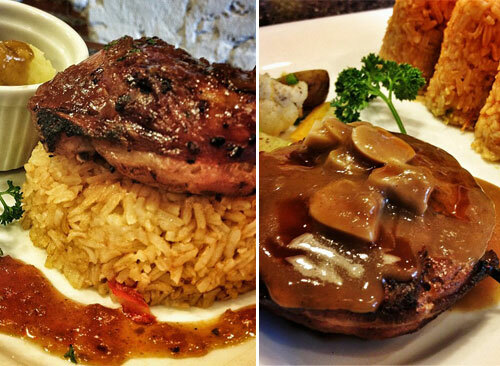 Anyway, of the few times I’ve been to Almon Marina, I usually stick to pasta. Out with the boyfriend one night, I veered away from this normality and dived into their plates of Fillet Mignon and Roast Beef. 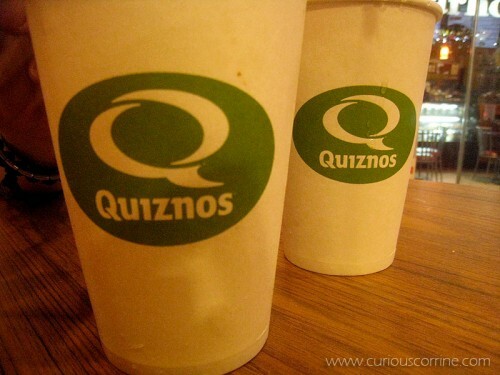 While I wouldn’t really “die” to try this chain, this friend’s nonstop praises and adoration for this US chain obliged us to stop by Quiznos at Alabang Town center. It was all happenstance, I promise. Have You Tried (To) Eat My GF? Don’t believe this sign? Well, you better. We were headed to Ronac for the release event of the Air Jordan XI when a friend said she wants to try Eat My GF. “For real?” I said. Well, believe it. Yes, there’s actually a food stall who boldly named their business Eat my GF. 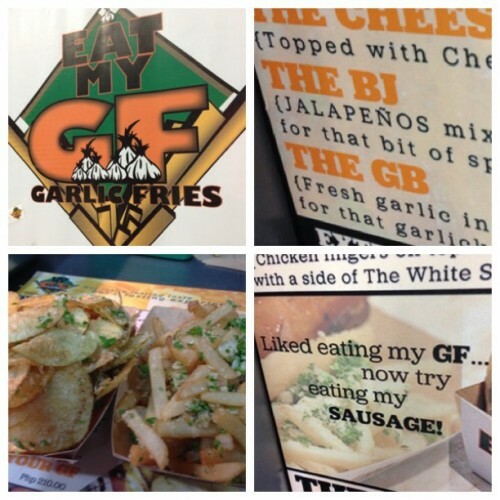 It sounds nasty and lewd and provocative alright, but GF actually stands for Garlic Fries. Pretty smart, huh? They really know how to get people’s attention! I won’t go into the details of this Friday’s visit–who hasn’t been to Friday’s, anyway–so I’ll go through the dishes we had. 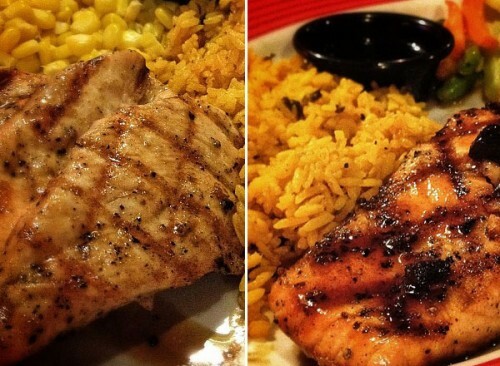 Whenever we visit Friday’s, we make sure to order something we haven’t tried before. A few weeks back, B and I got to visit the restaurant again–together with a bunch of his teammates.